Elections 2019: Will Narendra Modi and Rahul Gandhi contest elections from South India? The Election Fix: Will Narendra Modi and Rahul Gandhi run the gauntlet in South India? Plus, find out how crony capitalism still thrives in India and meet a candidate promising 10 litres of brandy per month. Welcome to The Election Fix. Every Sunday, Monday and Thursday, we will bring you all the news, analysis and opinion worth paying attention to. Today, we look at the whether the leaders of the Bharatiya Janata Party and Congress will venture South, how crony capitalism still thrives and meet a candidate who is promising households ten litres of brandy every month. 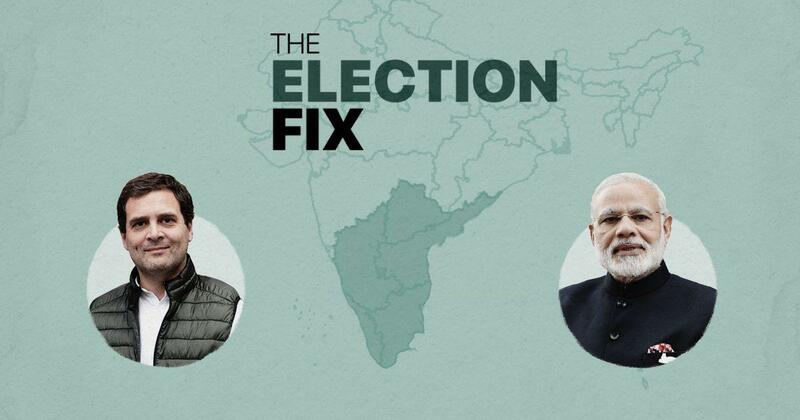 Please tell us what you think of The Election Fix by emailing me at rohan@scroll.in. I’d like to thank Rashvi, Raktim and Mukul for sending notes and suggestions about previous issues of the Election Fix, which you can find here. And if you haven’t already, subscribe here to get the Election Fix in your inbox. After Narendra Modi’s massive victory in the 2014 Lok Sabha elections, the Bharatiya Janata Party’s leaders began thinking of using the newly elected prime minister’s popularity to expand the party beyond its traditional North Indian boundaries. It has succeeded to a significant extent in the North East and has made a determined effort in the East. 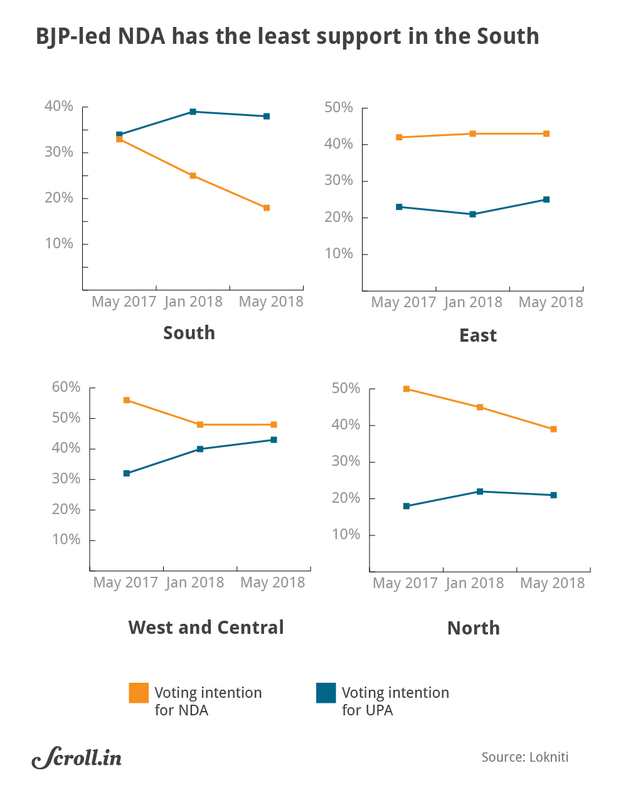 But despite the initial euphoria, it has not been able to make the large-scale entry into the electorally significant South. It was a bit player in state elections after 2014 in Tamil Nadu, Telangana and Kerala. Even in Karnataka – the one Southern state where it has a strong presence – it was unable to form the government, despite winning the most seats. So what’s a party to do? If you go by the buzz in Karnataka, the answer might be to take things on directly. The BJP’s decision to name candidates for every other Bengaluru seat except party stronghold Bengaluru South has heightened rumours that Modi himself might contest from there, in addition to his current seat, Varanasi. Ananth Kumar, the BJP leader who had held the seat since 1989, died in 2018, forcing the party to consider who it should put in his place. The presumption was that Kumar’s wife, Tejaswini Ananth Kumar, would contest. But with voting less than three weeks away, BJP has not named a candidate yet. Modi contested two seats in 2014 also, and Bengaluru South is about as safe a BJP seat as they come. Having him contest from there would also boost the party’s chances in the region, and make a statement about the BJP’s intentions to properly take on the South. As it turns out, the Congress is considering a Southern seat for its leader as well. Over the last few days, various state units in the South have called on party president Rahul Gandhi to contest from there, with the loudest demand coming from Kerala’s Wayanad. The fact that the party’s central leadership has not dismissed these demands suggests that they are at least being considered or the rumours are being utilised to keep other candidates on edge. Gandhi fighting from Kerala would send a very different signal than Modi in Karnataka though, since his opponent would come from the Left, and not the BJP. The latter is already suggesting that Gandhi is considering Kerala because he fears losing his family’s stronghold of Amethi in Uttar Pradesh. We’ll know if either is a genuine plan or these are simply tactical rumours soon enough, since the last day of nominations for both states come up quite soon: March 26 for Bengaluru South, April 4 for Wayanad. Prime Minister Narendra Modi’s website debuted a page called “Vikas Yatra” that lists out what the government says its achievements have been over the past five years. You may also want to check out our series called The Modi Years, which examines the initiatives, controversies and milestones of his tenure. Read both interviews of Himanta Biswa Sarma, a former Congress leader who has helped expand the Bharatiya Janata Party in the Northeast, in the Hindustan Times and the Indian Express, to get a better sense of how the saffron party is approaching the region. (Also read Scroll.in’s Arunabh Saikia explain how Sarma’s personal ambitions have been kept in check for this election). 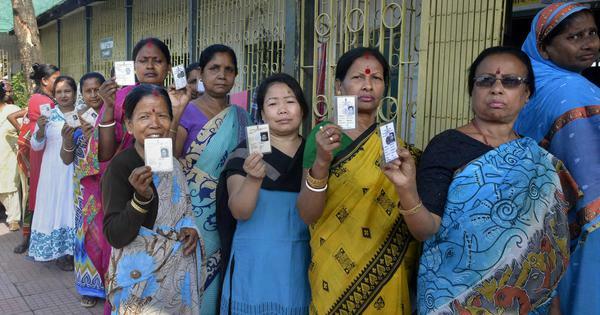 Shantanu Nanda Sharma of the Economic Times travels to portions of the state to find out if citizens will actually venture out to vote in the troubled parts of Jammu and Kashmir, where turnout can often be below 10%. This research lets you find out if your constituency is in the top two quintiles of prevalence of child malnutrition, which includes 72 out of the 543 parliamentary constituencies in India. Harish Damodaran in the Indian Express points out that sugarcane payments due to farmers in Uttar Pradesh have crossed Rs 10,000 crore, with more than 45% of this being from six of the eight constituencies that will vote in the very first phase. Mongabay’s Mayank Aggarwal points out that though environmental issues are starting to gain more prominence, they are unlikely to shape any voter preferences. Ground report: Muzaffarnagar in Uttar Pradesh saw riots between Hindu Jats and Muslims in 2013, and BJP candidate Sanjiv Baliyan, a Jat, won with a record margin in 2014. But this time the Mahagathbandan has fielded Jat leader Ajit Singh. Akash Bisht reports on whether Muslims and others will support him to defeat the BJP. T Ameerudheen picks out six constituencies in Kerala that you should be paying attention to. A proposed Congress-Left alliance in West Bengal did not go through. What does this mean? Shoaib Daniyal explains. Our reporters are bringing you ground reports on the elections from across the country. Your support could help us go further and dig deeper.Subscribe to Scroll+ and help pay for quality journalism. The Janata Dal (Secular) cited research by the Missing Voter app to claim that nearly 40 lakh voters names are missing from rolls in Maharashtra, which it claimed was a BJP conspiracy. Kanhaiya Kumar, who was made famous because of the Jawaharlal Nehru University fracas a few years ago, will contest from Bihar’s Begusarai on a Communist Party of India ticket. After Chief Minister Kamal Nath encouraged him to take a tough seat, Congress leader (and former chief minister) Digivijaya Singh is going to fight from Bhopal, which the BJP has won since 1989. The Election Commission has said only beneficiaries of Modi’s PM-KISAN farmer handout scheme who were identified before March 10 can receive benefits. West Bengal, Madhya Pradesh and other non-BJP states hadn’t identified any names by then. An independent candidate in Tamil Nadu’s Tirrupur constituency is promising 10 litres of pure, unadulterated brandy “which people use as medicine” per month to every household if he wins. Although not focusing on current politics, aside from the opaque instrument that is the electoral bond, Bloomberg’s Andy Mukherjee has a must-read on the enduring power of crony capitalism in India. Swapan Dasgupta, whose writing is always a useful insight into the narrative of the Right, says in the Times of India that this election will further wound the Westernised intelligentsia that dominated the traditionalist masses of India. Indian voters tend to kick out the incumbent candidate, whether in government or not, a lot of the time, which explains why parties so often pick fresh faces, writes Gilles Verniers in the Hindustan Times. TN Ninan, in the Business Standard, and Shekhar Gupta in the Print, both bring up the Congress’ inability to sell a vision or even remind voters of its past achievements. Gupta asks, is the Congress a political party or an NGO? Like other inconvenient data sets that have been “managed” by this government, Mitali Saran in the Business Standard says she is not abiding by the convention wisdom that a BJP victory in these elections is a foregone conclusion.